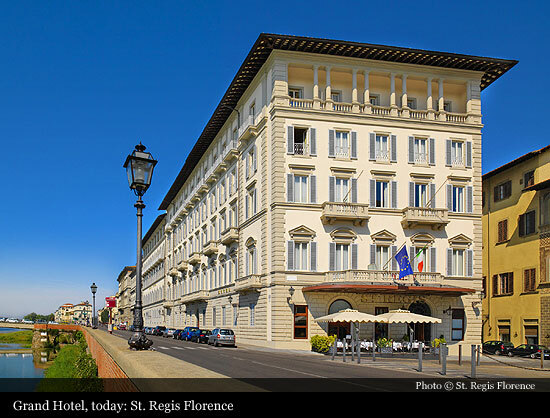 Ideally located along the Arno River, just steps away from iconic Uffizi Gallery and Academia, The St. Regis Florence is a historic palace designed by famed Florentine architect, Filippo Brunelleschi around 1400. 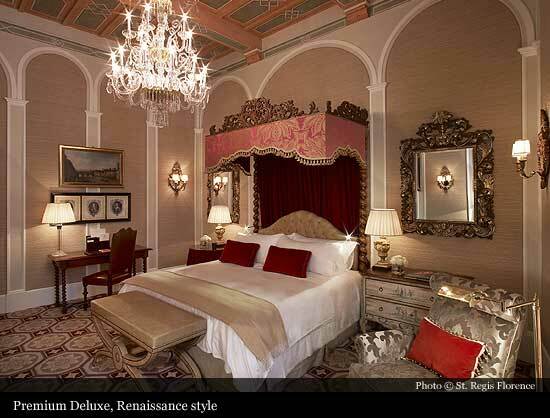 Originally home to the noble Giuntini family, the palace was converted into a hotel in 1866, and was initially named the Grand Hotel Royal de la Paix. 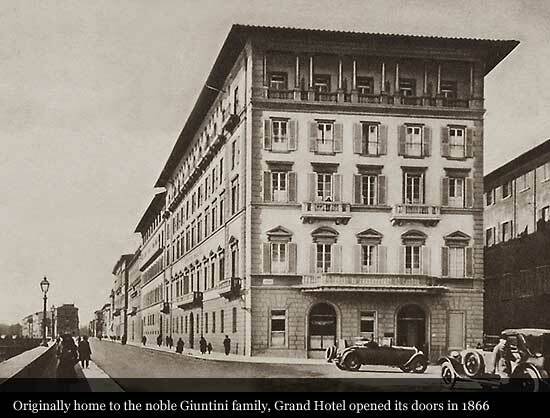 The history of the Grand Hotel is closely intertwined with the history of the city itself, and famous events and personalities have often linked Florence with its grand hotel. 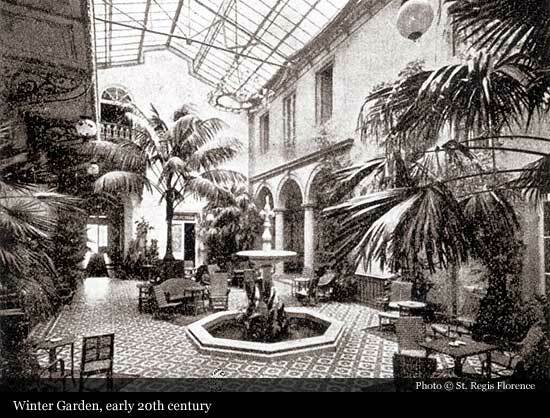 It was a stopping point for Queen Victoria, the Marajŕ Chuttraputti di Kolapoor and his successor, Rajaram Chuttraputti, for whom the Indian Bridge or Ponte all’Indiano was named. 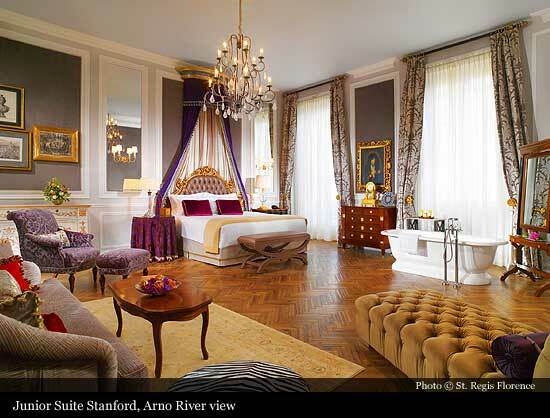 Leland Stanford Jr., namesake of Stanford University, was also a visitor. 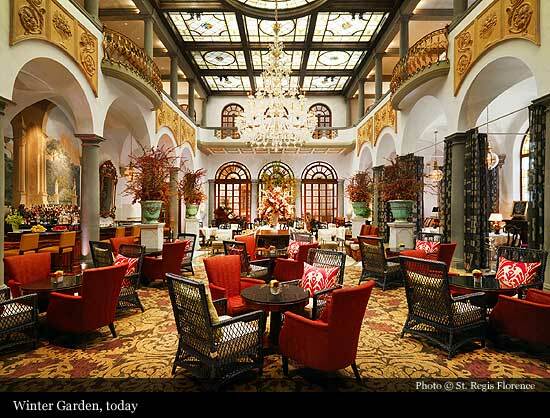 The Winter garden is considered the hearth of the Grand Hotel and traditionally a rendezvous for the city’s most distinguished visitors. 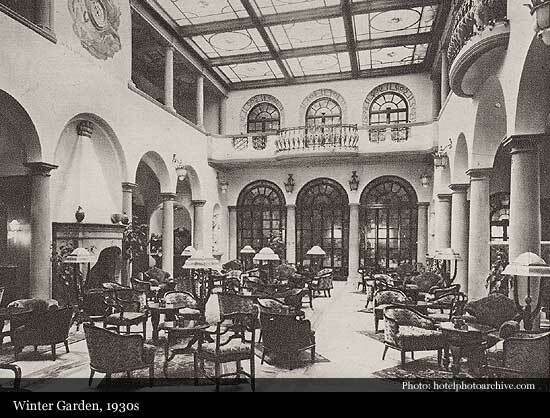 The Art Deco-style Winter Garden was realized around 1922 in accordance with the designs of Enzio Giovannozzi. 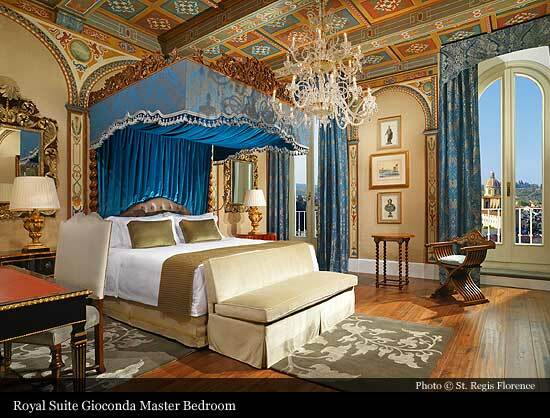 The superb stained glass of the roof, the warm Tuscan terra – cotta decorating the walls and the rare antique pieces among the furniture and furnishings all combine to create a uniquely welcoming and agreeable ambiance, much appreciated both by international socialites and by Florentines themselves. 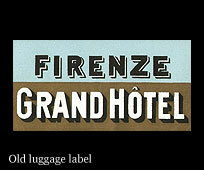 Members of the leading notable families north of the Alps and the most famous writers who has left their mark on the literary history of the early twentieth century normally stayed in the large hotels along the Arno, and on special occasions, like royal marriages or rich heiresses, the halls of the Grand Hotel welcomed the cream of Florentine aristocracy and their international guests. 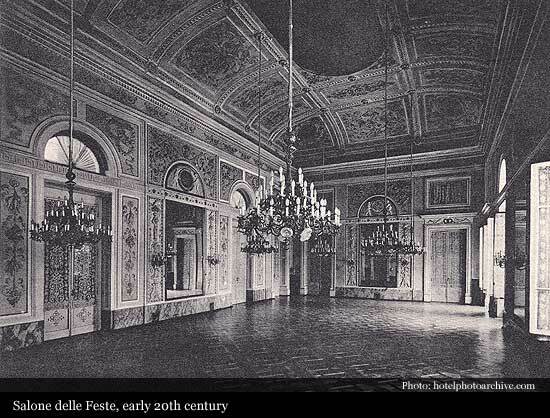 The Grand Ballroom (Sala delle Feste) is a French-style ballroom that draws inspiration from the White Room in the nearby Pitti Palace. 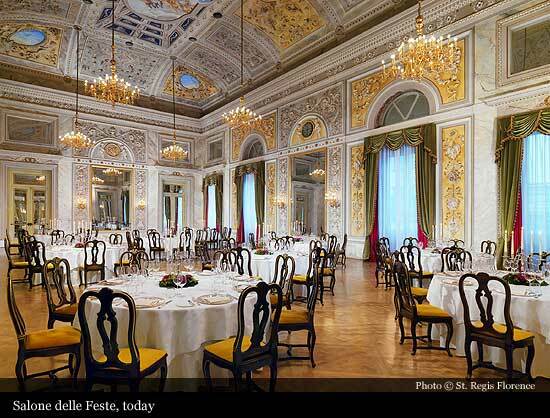 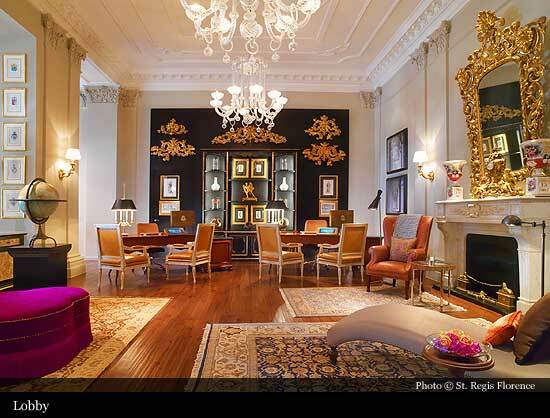 Its fine stucco work and elaborate decorations, create an ideal atmosphere for important meeting or receptions. 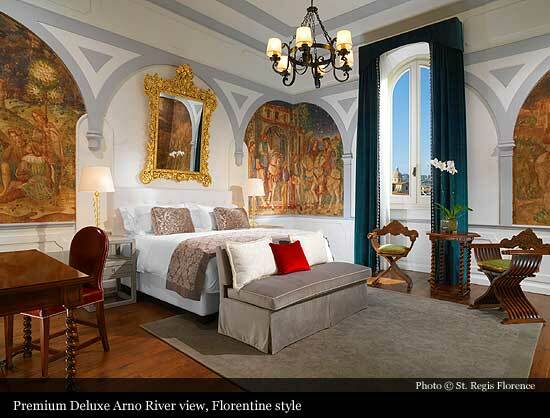 After extensively researching the architectural drawings of Florence’s famous Palazzo Davanzati and Palazzo Strozzi, the hotel finalized a restoration plan in 1990. 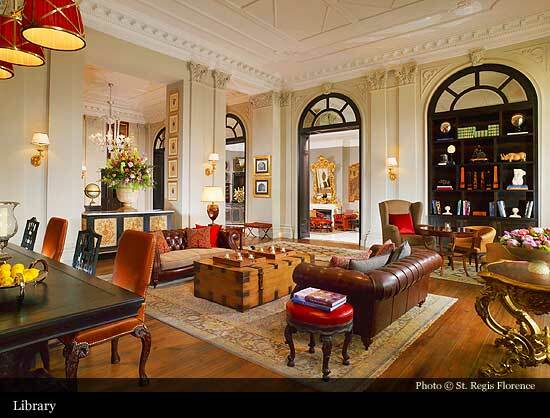 Meticulous renewal techniques were employed to accurately emulate the building’s original architectural and cultural integrity. 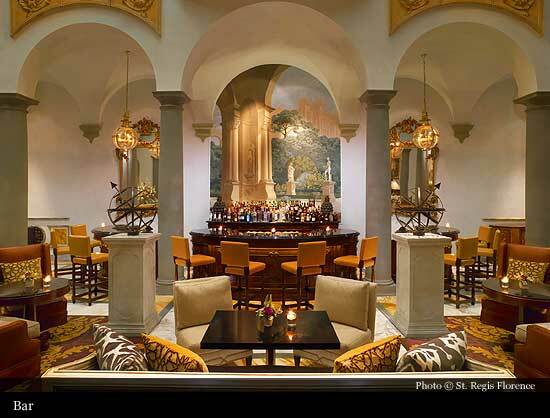 Today, The St. Regis Florence reflects the ingenious marriage of a rich artistic past with the vibrant present, creating the optimal setting for a personal and unrivaled Florentine adventure.